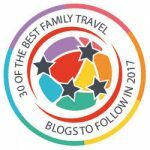 Recently we headed off on our first ever camping trip as a family of five (plus dog!) and had a fab time exploring what lovely East Devon has to offer. 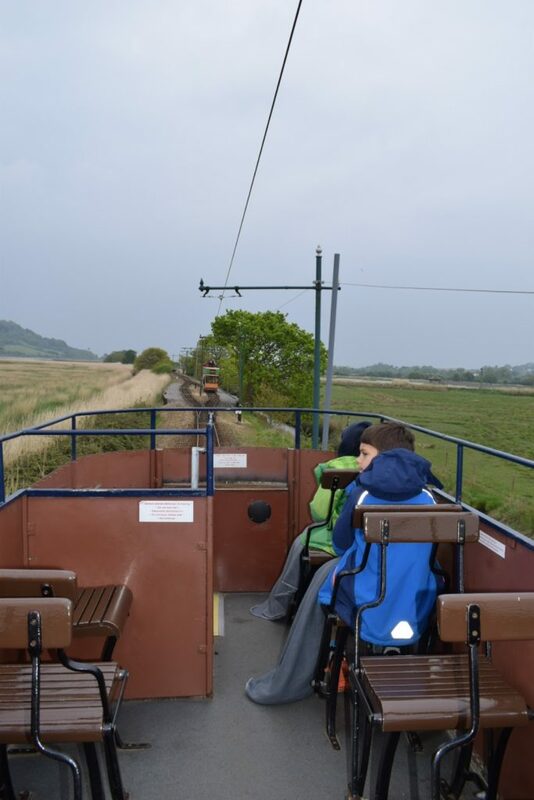 The staff at the Andrewshayes Holiday Park, where we were camping, had organised a complimentary visit to Seaton Tramway for us, and after discovering that it was dog friendly we excited to check it out. 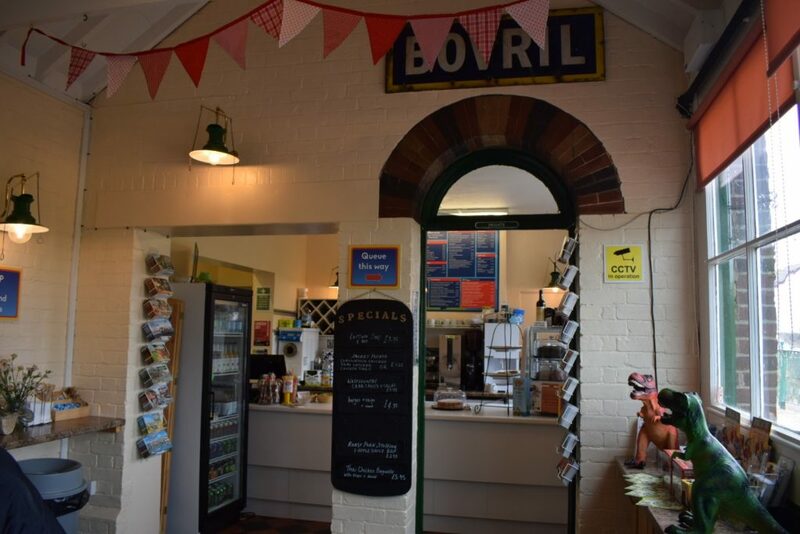 With a fleet of pretty vintage narrow gauge trams, the Seaton Tramway runs between the seaside town of Seaton, Colyford and Colyton in the beautiful Axe Valley in East Devon. 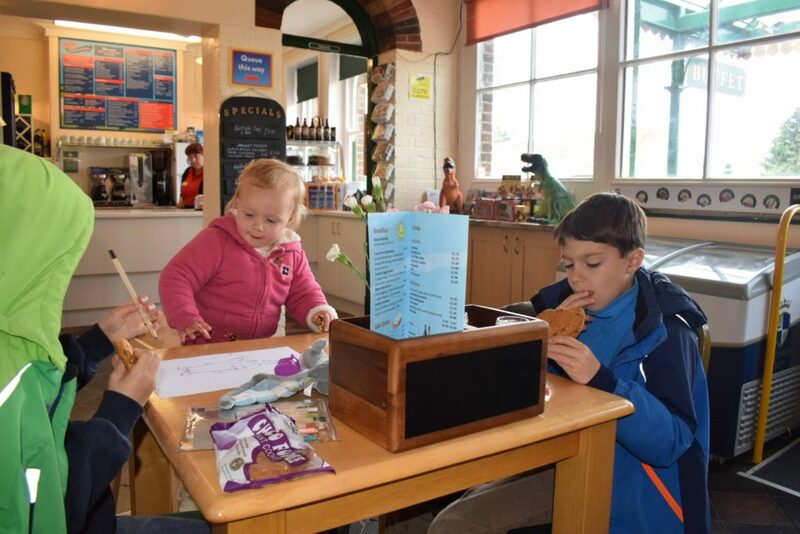 The fantastically scenic route takes passengers alongside the River Axe estuary and even through two nature reserves, giving an amazing views of the waters and bird life. 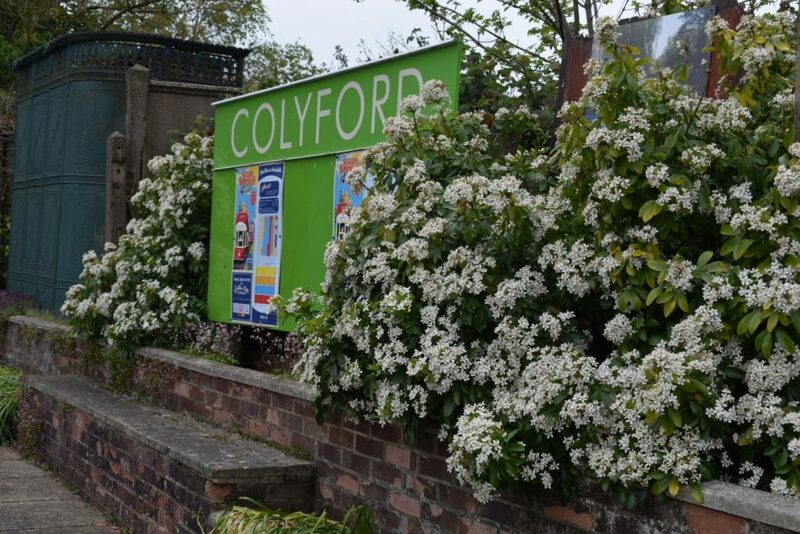 We started our day at Colyton Station, where we had a much-needed coffee and tea cake in the Tramstop Café. The kids enjoyed a cookie and did some colouring before we headed out to kill some time in the kids playground before the first tram arrived at 10.30am. 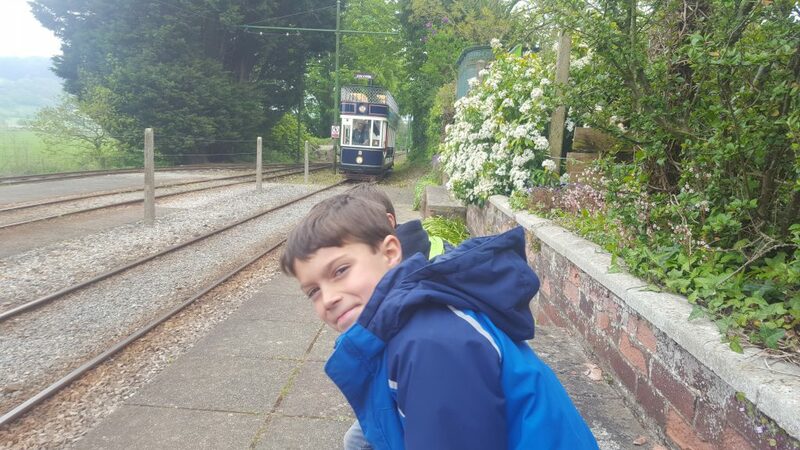 The kids were super excited when we heard the tram trundling along the tracks towards us, and were ready at the front of the queue to board. The two boys and I braved the top deck and Mr Dais Like These sat downstairs with baby and Buddy (dogs are not allowed on the top deck). It was quiet on the first tram of the day so our buggy was fine to stay open, but at busier times it needed to be folded down. 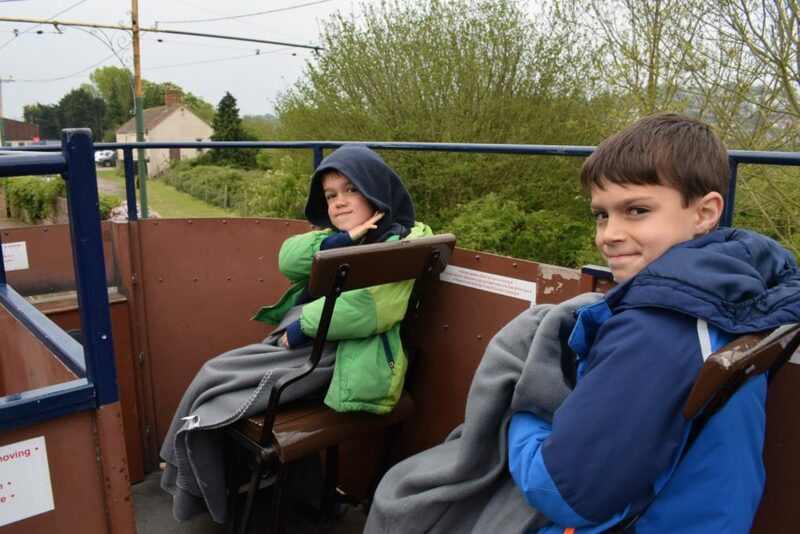 It was a chilly morning in East Devon, but each tram has a stack of fleece blankets available to use so we wrapped up and enjoyed the views from up top. We rode all the way to Seaton, passing and waving at other trams along the way. We had a little walk around this seaside town, and spent some time on the beach throwing stones and running away from the tide. Like many British seaside towns, Seaton was a little tired and run down in places, but we agreed that it is probably transformed on a hot sunny day. With lunchtime approaching we headed back to the tram stop. 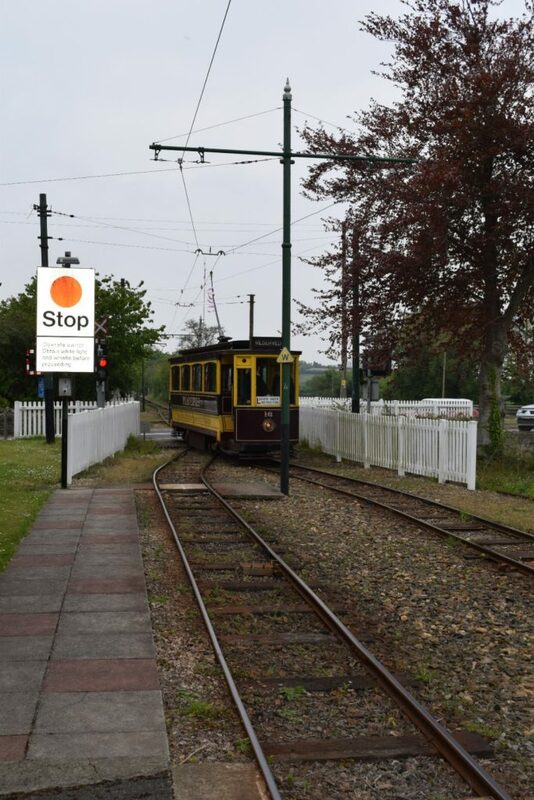 During our visit, trams were running every 20 minutes between 10am and 5pm. This time we jumped off at Colyford to have lunch at the White Hart Inn Colyford to have lunch at the White Hart Inn which is directly next door to the tram stop. This homely and traditional pub, which had a roaring log fire going, had classic pub grub including a great kids menu. The portions were so generous (don’t you just love it when you find somewhere with big portions?! ), which was just what we needed after a chilly morning on the beach. 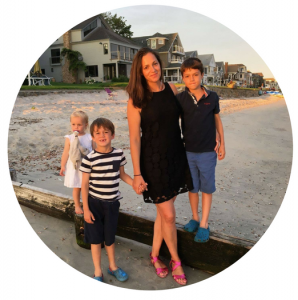 The kids could have easily shared a meal rather than having one each, note for our next visit! With our bellies full we popped outside and waited for the next tram, the boys watching the over head cable and putting their ears to the ground to try to work out if it was near by! 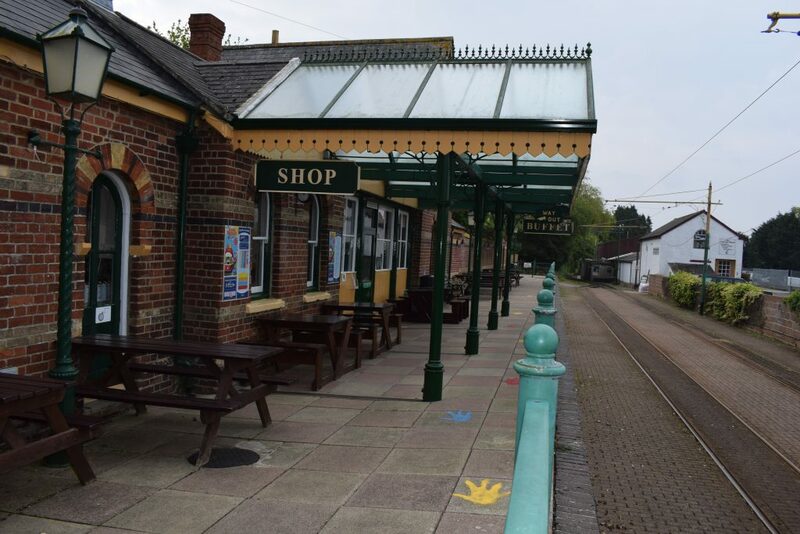 We arrived back at Colyton station, where as well as the lovely café we had visited earlier in the day, there are toilets and a fab shop a selling a gifts, confectionery, local produce, books and souvenirs. 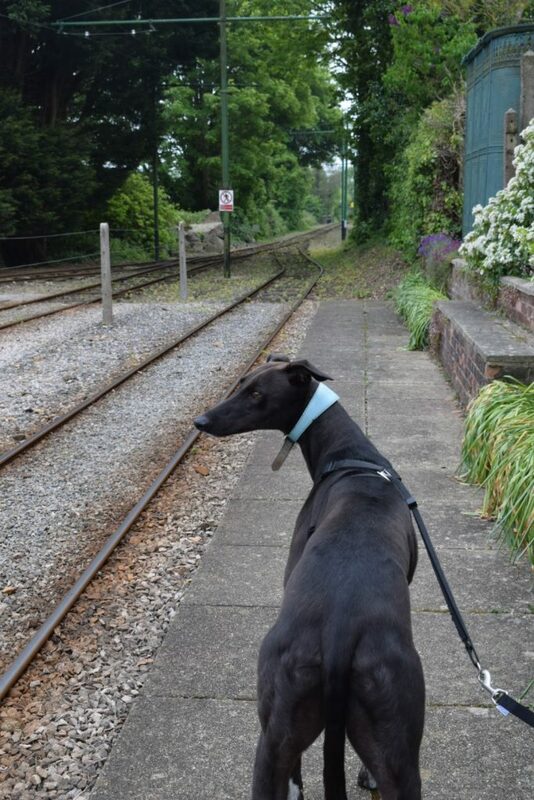 It is always so great to find dog friendly days out, and Seaton Tramways is definitely that. 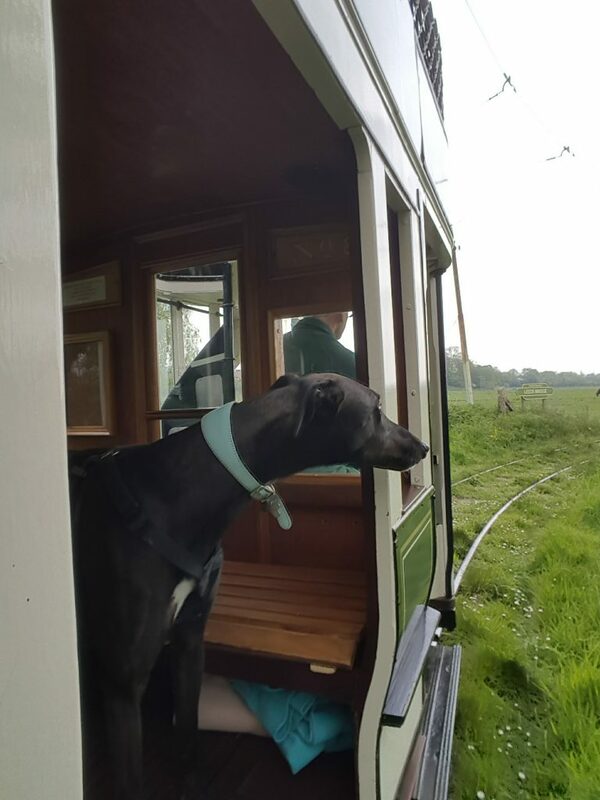 The drivers and staff did not bat an eyelid at having a big greyhound on board, and all the other passengers thought it was hilarious! We parked in the small customer car park at Colyton. Pay parking is available at Seaton but as it is in a town centre it may be busy. 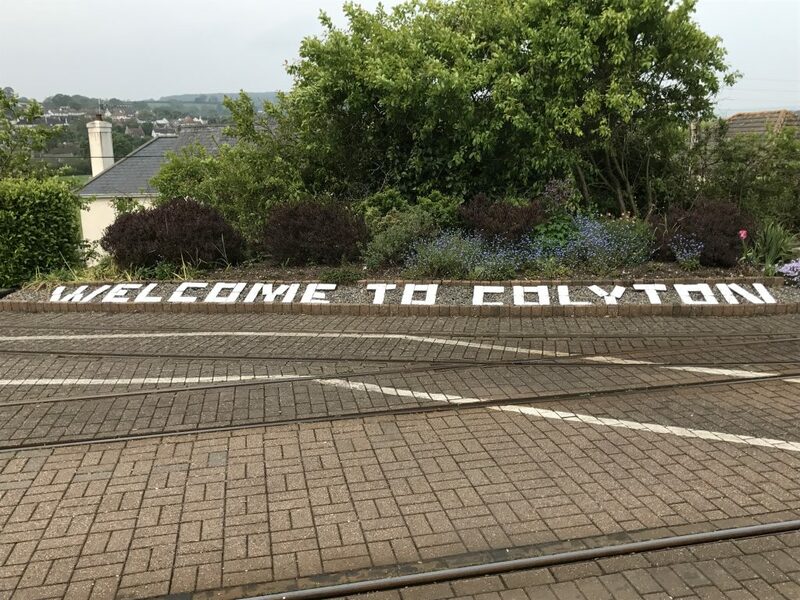 There are toilets at Colyton station (and the Seaton station is next door to a big Tesco, where there are likely to be public toilets). 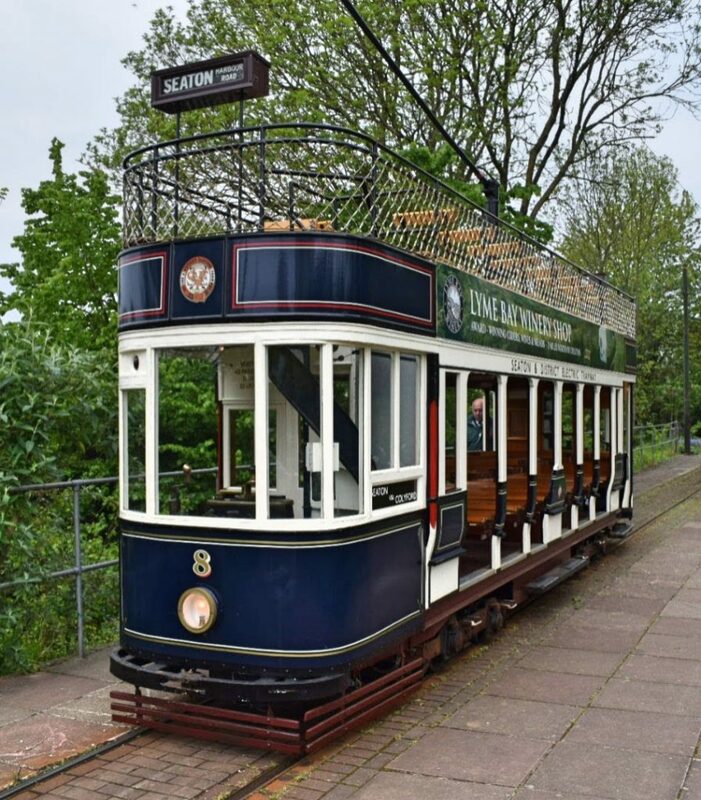 Have you visited Seaton Tramways? How did you enjoy it? Disclaimer: We were offered a complimentary family day ticket, but were under no obligation to review our experience. 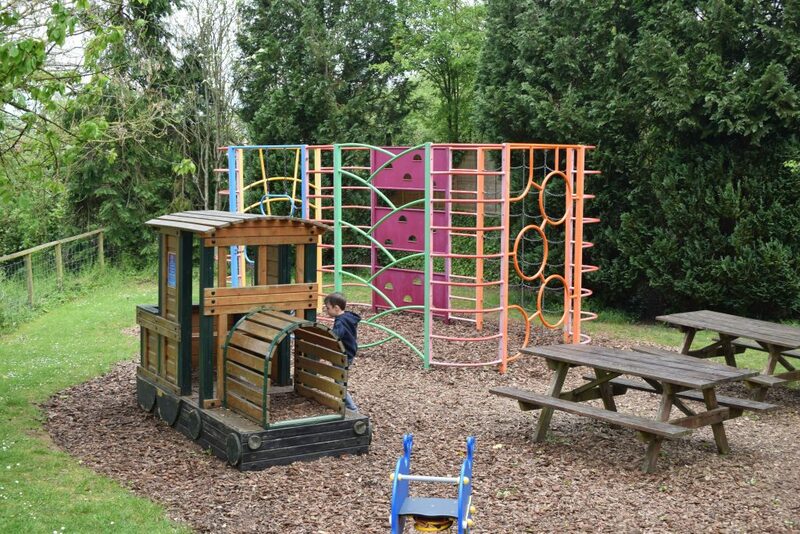 We had a lovely day, so I wanted to write about and share this attraction with you all!